Imagine a picturesque, gated community with oversized homes, large lots, and plenty of trails. That’s Creekside at Colleyville. With just 48 luxury homes, this elite neighborhood offers plenty of space and brand-new designs debuting right here. Creekside is located in northeastern Tarrant County in the heart of Dallas/Fort Worth and just west of Highway 121. 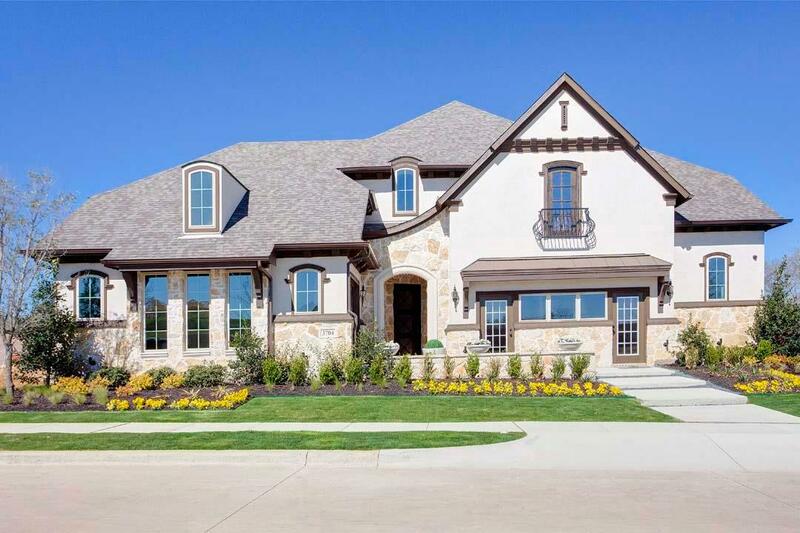 This ideal neighborhood is just minutes from the Dallas/Fort Worth International Airport and perfectly centered between downtown Dallas and downtown Fort Worth. Colleyville has a lot to offer. You’ll find parks, golf courses, shopping, and dining. You’ll also have access to the 11-mile Cotton Belt Trail, which makes its way right in front of the community. The trail includes a pocket park, rest areas, bench seating, and a multi-function drinking fountain (meaning pets can quench their thirst here, too!). These breathtaking homes, ranging from 2,800 square feet to just under 5,000, are sure to leave a lasting impression.